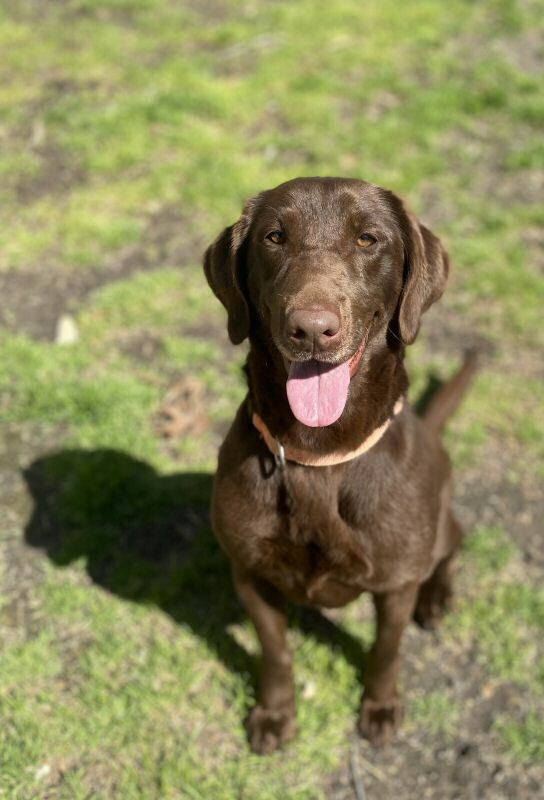 If you want a hunt or field test dog, or a dog that can be your be your special friend and companion, please check out our excellent candidates. 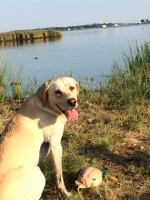 Our puppies are bred to be free any known genetic defects, good looking, and intelligent. 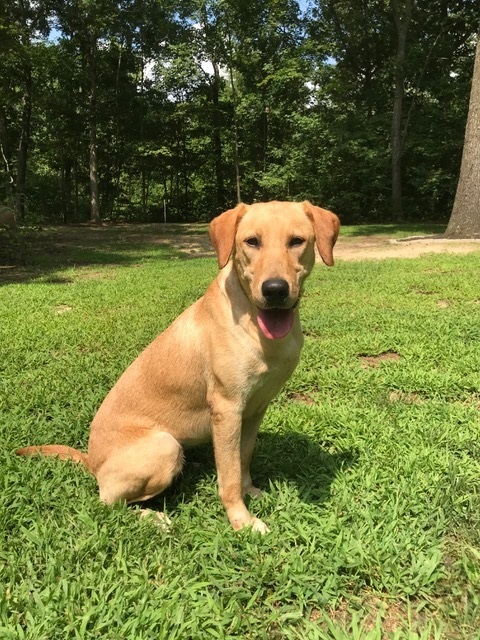 To the best of our knowledge, our breeding stock is free of common hereditary defects such as hip dysplasia, inherited elbow problems, and progressive retinal atrophy. We insist on responsible breeding. That is why we feel sure you will be pleased with your puppy. Letters from our satisfied customers help confirm this. 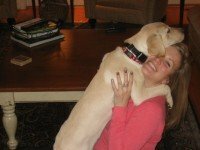 You may always come to us for questions or assistance in caring for your pup. 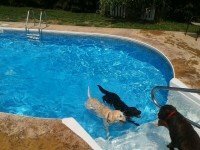 We are located in Maryland - an easy trip for many people wishing to see our litters. 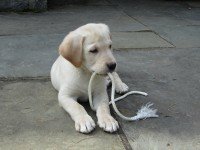 We guarantee your puppy against inherited hip/elbow dysplasia and inherited ocular disease for twenty six months from the date of whelp. Full refund of purchase price upon written proof of above disease from your vet and a letter from the OFA. In case of inherited ocular disease we need written proof from an Animal Optometrist. Also, we will need proof that your dog has been spayed or neutered. 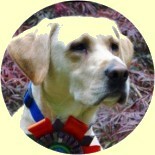 Twin Oak Retrievers puppies are born and raised in our home and are well socialized. Their dew claws are removed & pups are wormed and vaccinated. 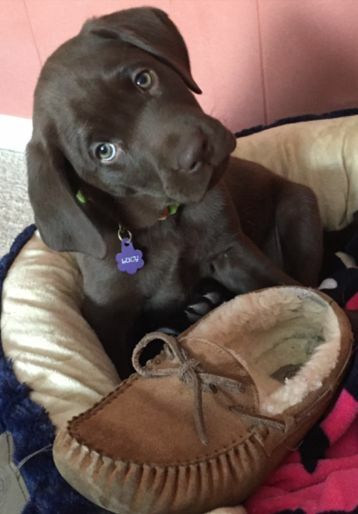 Since most puppies are sold before they are old enough to leave, we recommend making a deposit (see deposit mailing information) to establish your turn in picking a puppy. 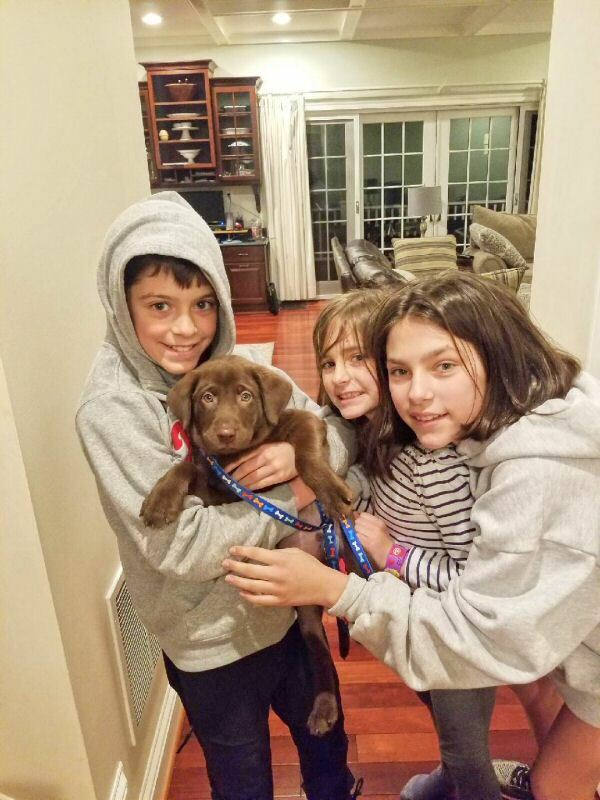 Clients pick their puppies in the same order we received their deposits. 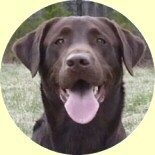 We can fly pups, clients can fly in and fly their pup in cabin or drive here to pick up. Puppies that are picked up locally go to new homes at 8 weeks of age; the pups that fly in cabin can fly at 8 weeks according to airlines that permit. "The bitterness of poor quality lingers long after the sweetness of low cost is forgotten." DEPOSITS ARE BEING ACCEPTED ON OUR LITTERS. 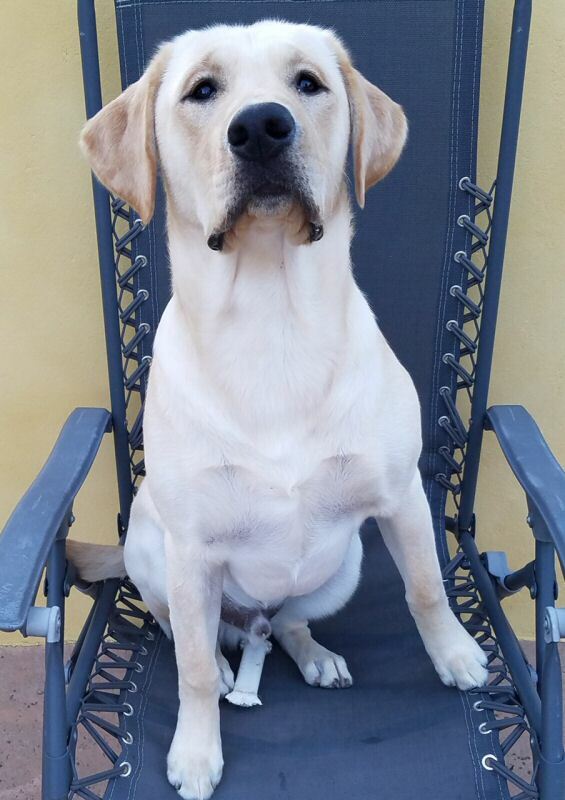 Otto is an extremely handsome 70-pound yellow lab. 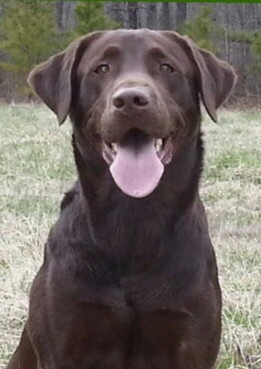 Born 10/6/2013, the two attributes people always comment on about Otto are how muscular he is and how fast he runs. 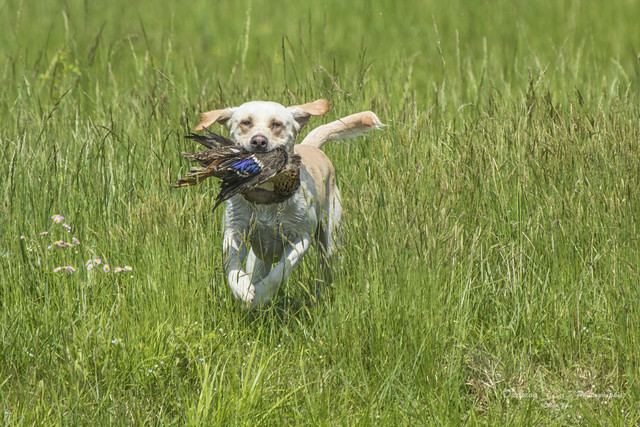 He is extremely driven to retrieve and is a Junior Hunter titleholder. 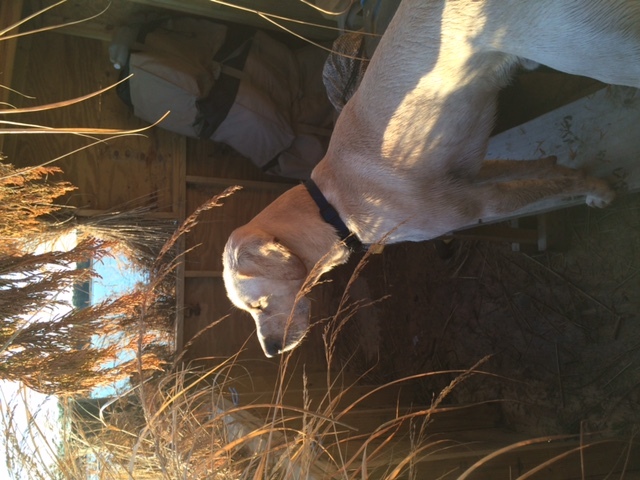 Otto loves to be in the hunting blind either in the field or on the water. When he is not retrieving, he is everyone's best friend and will readily roll on his back for belly rubs. 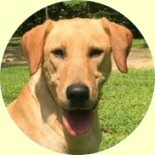 He comes from a great line of Paradise Kennels' yellow labs. 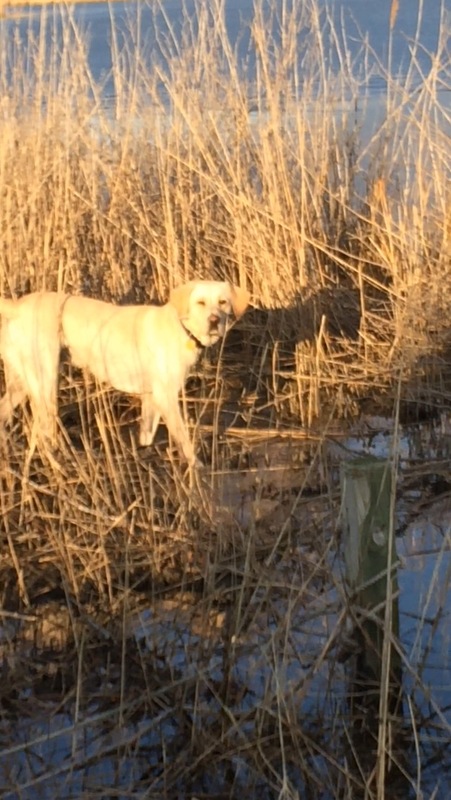 His Sire, Int'l CH MERGANSER'S YELLOW JERSEY, JH, WC, SH, is a beautiful 82lb Yellow Male and is that "special" combination of good looks and brains/free of known genetic defects. 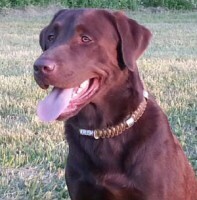 His Dam, SHR DDC'S ICE ON THE TRESTLE, is a 65 Ib beautiful yellow female. 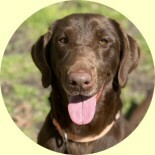 She, like many of our dogs, has an excellent pedigree and is one of the sweetest dogs we own. 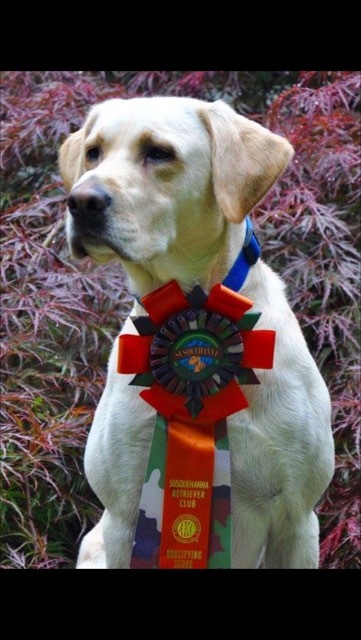 Otto has OFA Excellent Hips, OFA Normal Elbows, Clear Eyes, DNA Tested Clear for CNM, EIC, Degenerative Myelopathy, Hereditary Nasal Parakeratosis, Progressive Retinal Atrophy, Progressive Rod-Cone Degeneration, Retinal Dysplasia/Oculoskeletal Dysplasia 1, and Skeletal Dysplasia 2. See Otto's files in pdf. We have four deposits on this litter. 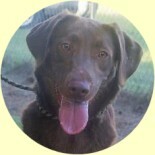 Krush is a handsome chocolate male. He is that special combination of good looks and brains. 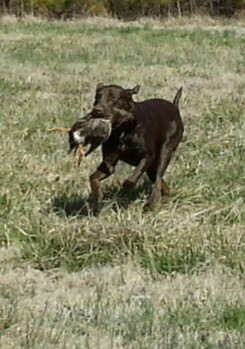 He comes from a excellent hunting and field trial pedigree. 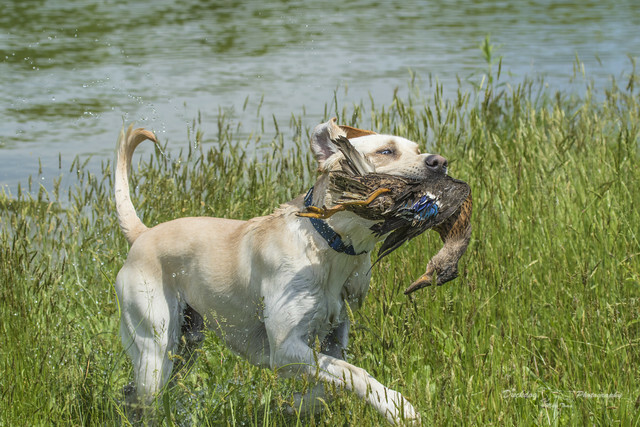 He currently holds a Master Hunter title which is the highest title that can be obtained in AKC. He has proven himself as a spectacular working dog and he is just as good on a sofa. 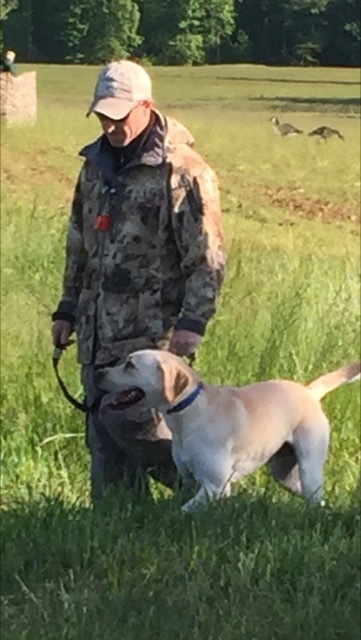 Krush should sire pups that are great pets and/or hunting partners. Krush is OFA certified hips-good and elbows normal. He is EIC and CNM clear. With all this tremendous breeding behind her, she is still one of the friendliest dogs we own. 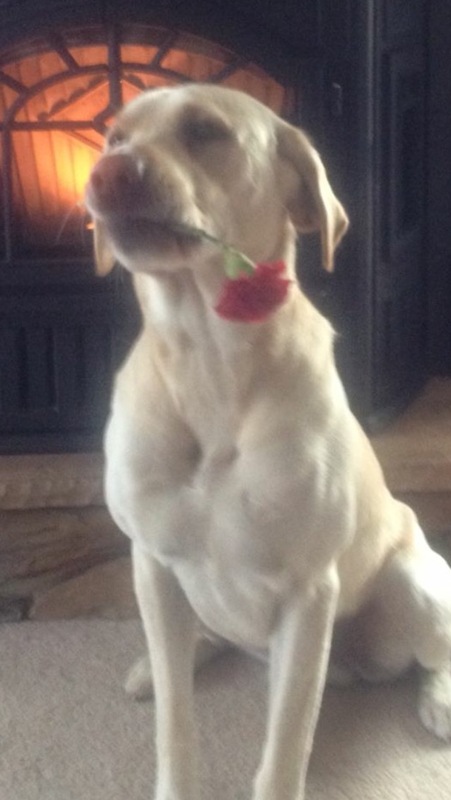 Polly is very intelligent, easy to train and loves being around people. Her hips are OFA Good, Elbows OFA Normal, Eyes OFA Normal, she is DNA tested Clear for the EIC and CNM. SEE Polly's complete files. 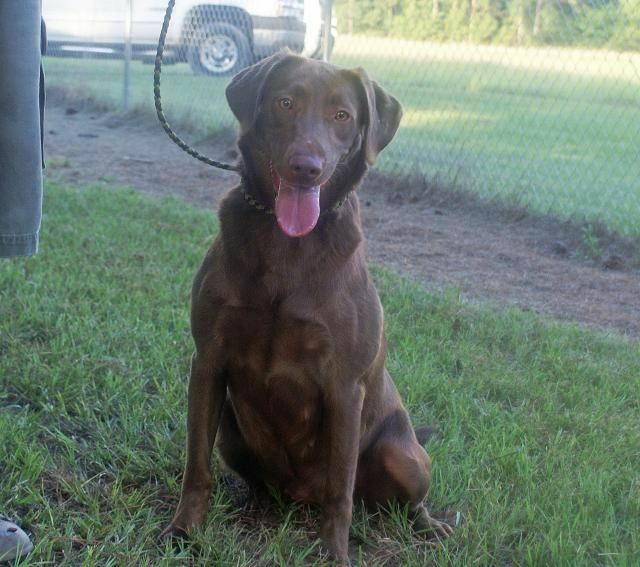 Her pups should make great companions and also be able to compete at high levels in competition if you desire to go that way. We have six deposits on this litter. This chocolate litter is expected Spring, 2019. We have three deposits on this litter. Clients pick their puppies in the same order we received their deposits. Please click on Deposits for mailing information. See letters from our satisfied customers!